This is my first stickerless cube, I normally I would not have gotten it because of its stickerless. I have a policy of only reviewing WCA legal cubes, while stickerless cubes are not currently allowed in WCA competitions, there is a chance that they will be legal in the 2015 regulations. Given this, when NewIsland offered me to try their new cube, the Phoenix, I decided to give it a shot, making the gamble that I’ll be able to use it in 2015. 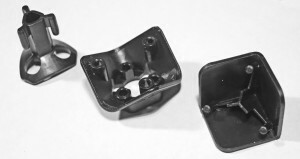 The stickerless nature of the cube didn’t provided anything new but the internals and turning mechanism did, I quickly discovered this is a very different cube from what is already out there. Cube, prelubicated I’ve been told with D39. The lubricant was a minor irritant for me, it could be the D39 or it could be that I’m more used to less toxic stuff. Instructions, in relatively good English. Felt bag, just barely big enough to hold the cube. When standstill, the colors look nicely balanced, I particularly like the brightness of the blue. But when you start turning faster the warmer colors (yellow, orange, red) blend together just enough to cause some confusion from time to time, often in the form of improperly placed F2L pairs. It’s not a show stopping issue though. The stickerlessness of the cube adds some attributes I did not expect. First the shape of the cube is more, well, cubic. There is very little bevel on the cube leaving your hands to occasionally catch an oddly sharp edge. Compared to many other cubes around these days, this is abnormal, I might posit that cubes are becoming more and more bevelled. 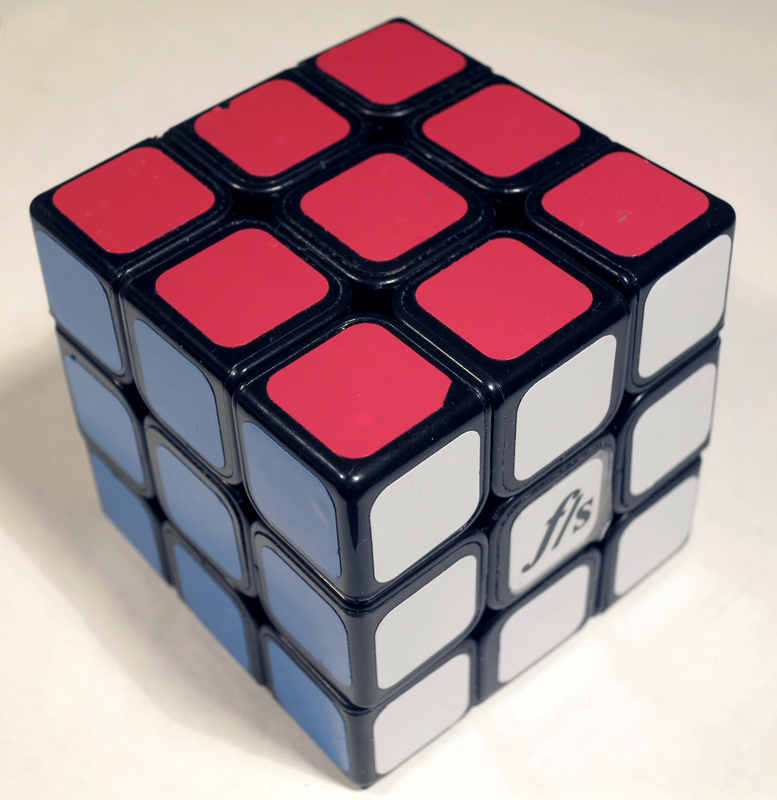 The other attribute stickerlessness adds is a lack of friction, without stickers to grip, there is just the cube. This has led to fumbling the cube a few times, I believe it could also be from lubricant getting on the surface of the cube, but enough wiping down of the surfaces has somewhat negated this belief. Like the colors, these are not show stopping issues. The turning is smooth and relatively quiet. It turns definitively better than any other cube I’ve tried. This can lead to very very fast times, but also a loss of control during a solve. Combine this with the fumbling attributes mentioned above and a good solve can quickly turn south due to ambitious fingers. The faces cut in both directions at a fairly high angle, I don’t think I’m able to do Y perms on many other cubes faster than I can on this cube. Manufacturer’s note: plastic is made of ABS material a non-poisonous material which the color would never fade from. 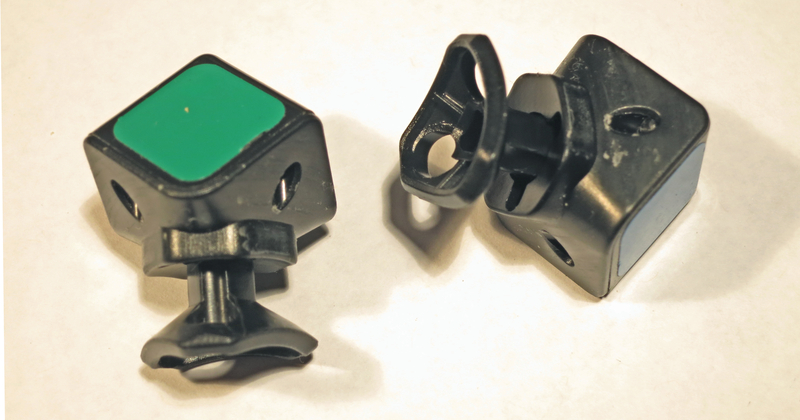 Ultimately stickerless cubes are not legal under the WCA. So keep that in mind when buying this. I’ve been in contact with the makers and they’ve confirmed that a stickered version is coming. If you’re already fast, and you like stickerless cubes the NewIsland Phoenix is for you. Otherwise, you might want to wait at least until a stickered version comes out, I don’t think this is a good cube for beginners. You can get the NewIsland Phoenix from Amazon for 11.99. (Edit Jan 2, 2015): There is now a stickered version of the cube available through Amazon here. Rubik’s is a company who holds the rights to the singularly most popular toy icon in history. Given the cube’s new found popularity over the last 10 years, the problem has been presented to them of how to build on top that success. Responses to this problem include the Rubik’s Revolution, the Rubik’s Slide, the Rubik’s TouchCube, the Rubik’s 360; and now, most recently the Rubik’s Light. I can imagine or hope that they are trying to solve this problem somehow. 2008 was the year the cube’s popularity exploded, I have this Google Trends lookup and a spike in my YouTube video views to support this. By happenstance at the US Nationals 2008 I briefly talked with a pair of very out of place people who were from Rubik’s. Their purpose there was to investigate their product’s popularity and figure out how to bring it more mainstream. The conversation was brief, and as far as I can tell since then they’ve failed. When the whole time, all everyone wanted, was a decent 2×2-5×5. 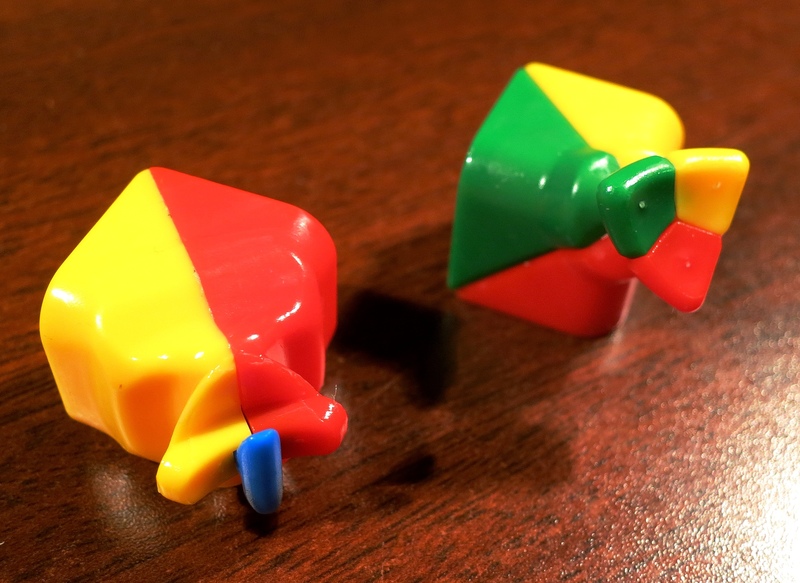 Believe it or not Rubik’s used to hold that market. Then Eastsheen came along. 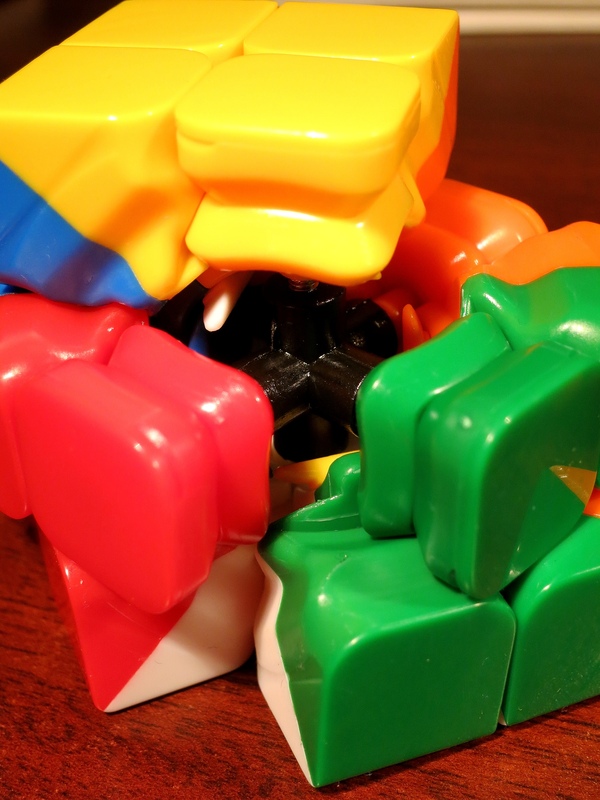 They did some innovation and made a 2×2 that didn’t pop, a 4×4 that was smooth(er), and a 5×5 whose pieces wouldn’t break. 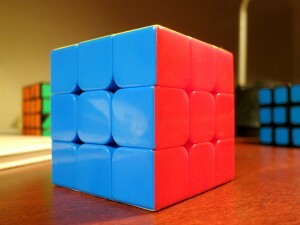 V-Cube also made a huge impact, cube sizes greater than 5×5 were something that Ernö himself once said were impossible. Cubesmith came up and made stickers people loved! 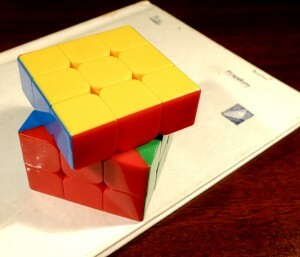 A few years later every cube that’s in competitions are not Rubik’s cubes and the products that Rubik’s make, including their classic 3×3, have been turned into a running jokes by the community. 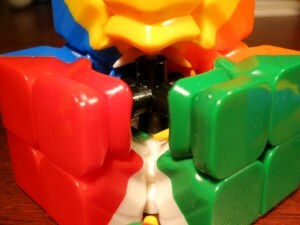 Rubik’s can bring themselves back up, they can be a new force to be rekoned with. In addition to the above I have this to tell them directly: Stop focusing on gimmicky or digital spinoff products. Focus on the niche market you could have. Make a cube that is as fast as any generation of Dayan cube. Do what you did with the Mirror Blocks, remix your classic puzzle, (just look at what’s coming out of Meffert’s these days). Do one or both of these well and people will start listening, buying, more. My first impressions said a lot in the video review of the FangShi ShuangRen. It’s my hope that these post impressions say just as much. It’s a really good cube, stands as a testament along how far cubes have come in the last five or even three years. I cannot open this cube up and as a result it does not pop. There have been cubes that do not pop in past, the name “DIY New Type A” comes to mind and I’d be very surprised if anyone reading this remembers it. The “new type A” couldn’t pop but was pretty atrocious. The edges had these planks on them, a bit like the Alpha V but longer. These planks were separate from the edge and would come off easily, and you had to assemble it yourself when you first get it. If you assembled it correctly and the planks stay in, the cube could not be popped, but one of those planks fall out and you could have a mess on your hands to take the edge out and repair it. Believe me, it was awful and I haven’t seen one since. I can confidently say that the FangShi is nothing like that. The Fangshi works like a charm. The turning reminds me a lot of a ShengShou 4×4 or 5×5, very smooth, no catches. Corner cutting margins are not the same as you would get on a Dayan cube, but they’re still very acceptable. The one annoyance I have is the size actually, it’s just that much smaller that my fingers collide too much. I can still get good times despite this, but I have to make a small adjustment every time I start a session with it. 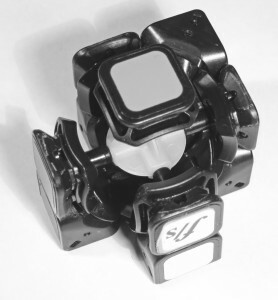 There is also a 57mm version of the cube I would be interested in trying. A comment on the video clearly explained how to take the cube apart. The insides are very complicated and it’s soon apparent that a lot more pieces make up this cube than you think. Pictured below are the edges, the corners, and a all three parts of a corner. I believe this is the first time I’ve used this phrase for a cube, but it is beautifully designed, truly built inside out. Overall the cube makes you wonder how much better it can get than this, but we’ve all thought that at one point or another I’m sure. This would be a good cube for any level of cuber to get, and I imagine it would last them a long time. You can buy it at Lightake for $15 and shipping is free.